You can see a list of all the organizations that belong to the New York City Coalition for Adult Literacy here. Below are highlights of some of our member organizations. For training programs that have a prerequisite certification (e.g. driver’s permit, CDL permit, NYC Food Handler’s Card, etc. ), educational support classes are offered in The Doe Fund’s various facilities to help trainees earn the necessary prerequisites. The first cycle of the “Chef-in-Training” Program debuted in February 2016 and was taught by Chef Justin Fertitta, a CIA graduate. Over the course of eight weeks, trainees learned: history of culinary arts, kitchen hierarchy, product knowledge, cooking locally and in-season, fundamental cooking techniques, kitchen arithmetic (recipe yields, weights and measurements) butchery, stocks, sauces, knife skills, interpersonal skills necessary for working in a restaurant, kitchen safety and proper food handling in accordance with NYC health department regulations. Trainees were able to gain hands-on kitchen experience in a fast-paced, cook-to-order simulated restaurant setting by preparing lunches and dinners for residents of The Doe Fund’s Gates Avenue facility in Bedford-Stuyvesant, Brooklyn. 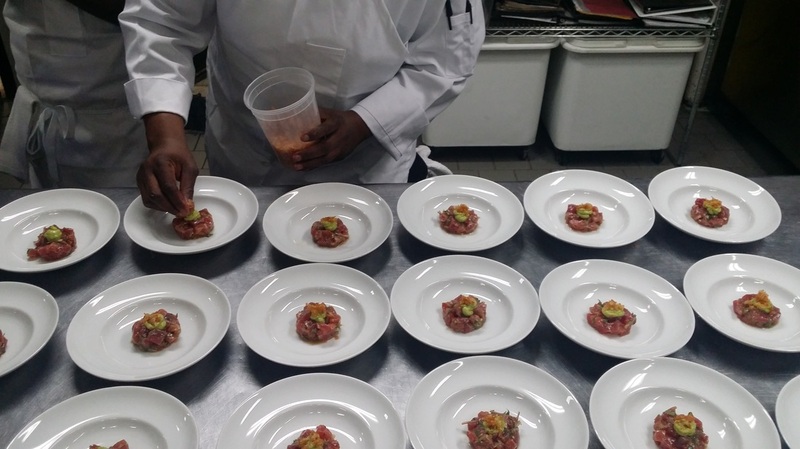 The training program culminated with an eight-course tasting event attended by chefs associated with Union Square Hospitality Group and Crafted Hospitality Group. The Doe Fund’s mission is to develop and implement cost-effective, holistic programs that meet the needs of a diverse population working to break the cycles of homelessness, addiction, and criminal recidivism. All of The Doe Fund's programs strive to help homeless and formerly incarcerated individuals achieve permanent self-sufficiency through a year-long residential, transitional work program. The Center for Immigrant Education and Training (CIET) at LaGuardia Community College offers free contextualized English as a Second Language and job training programs along with career counseling and case management services to low-income Queens immigrants and their families. Their goal is to support their students in becoming life-long learners and independent, contributing citizens of New York City. 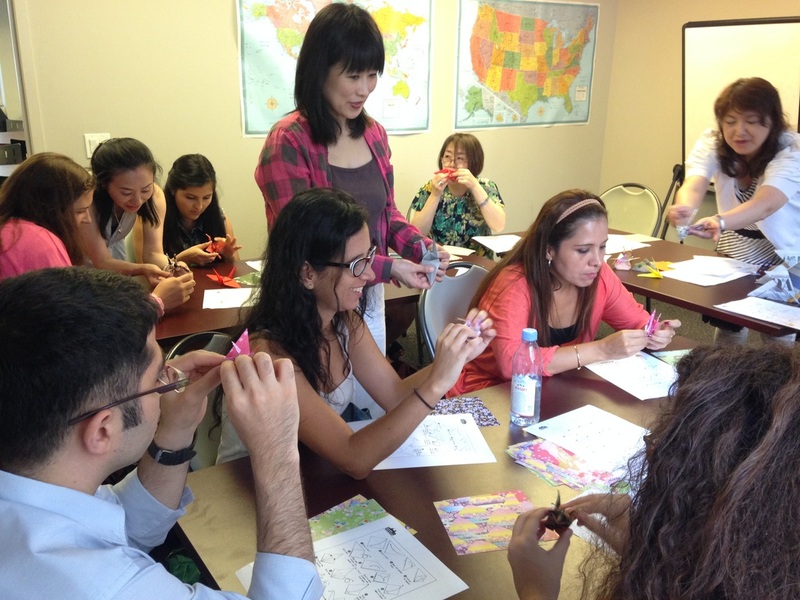 CIET recently celebrated the immigrant nurse students in its NYC Welcome Back Center programs. These students studied in the intensive NY-BEST integrated ESOL and NCLEX training programs to become re-licensed as LPNs in New York and advance in their careers. All the students were nurses in their home countries but needed some help with their English and test preparation. 97% of the students completed the program, and their pass rates exceeded national averages by more than 30 percentage points. 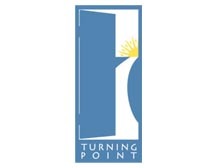 Turning Point is a community-based organization located in Sunset Park and Red Hook that serves all of Brooklyn. They provide holistic support to underserved individuals through education, health and social services programs that make a real difference in the community. See more about Turning Point and their work on their blog . To hear from a student about her experience, see the video below. We offer Eng­lish lan­guage train­ing and pro­grams in Amer­i­can cul­ture to immi­grants, refugees, stu­dents, and other new­com­ers to the United States. Each year, we serve hun­dreds of new­com­ers – our mem­bers – and man­age a vol­un­teer corps of more than 500. Our mem­bers rep­re­sent a wide vari­ety of cul­tures and back­grounds from approx­i­mately 80 coun­tries. Many were trained pro­fes­sion­als in their home coun­tries; oth­ers come seek­ing an edu­ca­tion and a bet­ter life for their children. See our schedule of classes. Make the Road New York (MRNY) builds the power of immigrant and working class communities to achieve dignity and justice through organizing, education, and survival services. We have 14,000+ members and operate four community centers in Bushwick, Brooklyn; Jackson Heights, Queens; Port Richmond, Staten Island and Brentwood, Long Island. 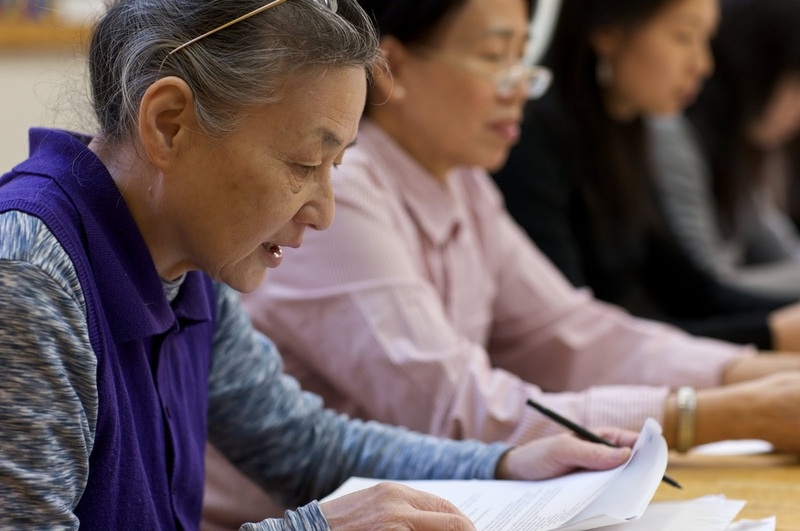 MRNY’s Adult Education Program provides English (ESOL), High School Equivalency (in Spanish), Citizenship, and computer classes to about 1,600 adults annually. Our graduates are better able to help their kids with homework, communicate with their doctor and accomplish their educational and employment goals. Popular Education: At MRNY, we ground skills instruction in our students’ daily lives. Class themes include attending a parent-teacher conference, requesting repairs from a landlord, and dealing with a difficult boss. Learning English: Our teachers set high expectations and use proven methods and new technology to help students meet their goals. Over 80 percent of students who complete their course advance at least one level. High School Equivalency: MRNY’s HSE in Spanish program grew this year with funding through DYCD’s initiative for DACA-eligible young adults. Last year, 91% of MRNY students who took the GED® exam passed and earned a NYS HSE Diploma. Support Services and Leadership Development: Our teachers work closely with MRNY’s other departments, matching students with workforce training, legal and health services. Many students develop their leadership through MRNY’s community organizing committees on issues such as workers’ rights, immigration, education, housing, and LGBTQ rights. 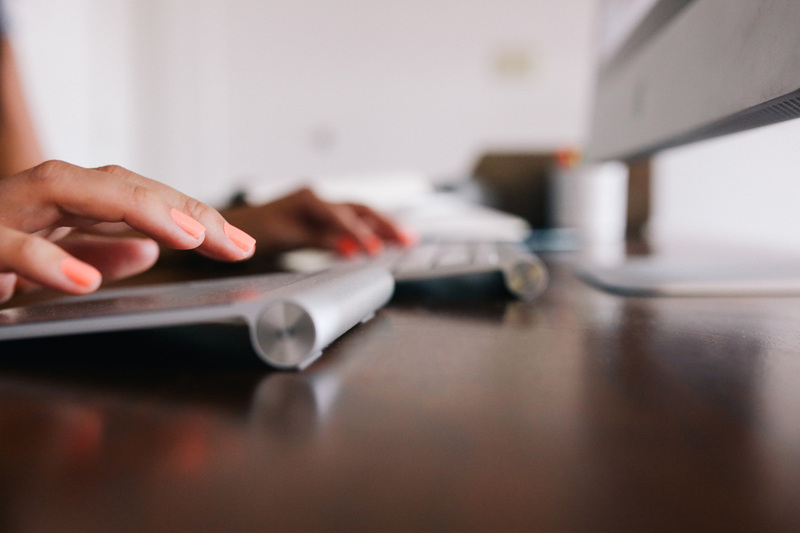 Preparing for Jobs and Citizenship: Our HSE and computer literacy classes increase students’ ability to secure and retain jobs, as well as qualify for immigration relief such as DACA. Our citizenship instruction is tied to our in-house legal services that help families access work authorization and citizenship. Last year, MRNY helped nearly 300 people apply for citizenship. Employment: Our adult education and workforce staffwork together to prepare students for stable and productive jobs. A new program trains 40 students a year in English literacy and health advocacy skills to prepare for jobs as community health workers. Some students learn how to start their own cooperative businesses, and others get help obtaining jobs in other industries, while learning about workplace rights and occupational safety. The University Settlement Adult Literacy Program is part of University Settlement, which has been helping New Yorkers for the past 126 years. University Settlement was the first settlement house in the United States. The Adult Literacy Program enrolls over 450 students per year. We work with students to build a foundation of English language and technology skills needed to gain employment or advance at a current job, enroll in educational programs or vocational training, help children or grandchildren with their schoolwork, understand and exercise legal rights and responsibilities, and attain U.S. citizenship, among other things. Students enrolled in our program also have a choice of elective classes, including computer classes and an English Through Movies class, as well as a weekly book club facilitated by our program’s director, Michael Hunter. Higher level students also have the chance to attend our new Work Readiness class.